The Eurogroup Monday (9 November) gave Greece a week to find an agreement with its creditors over the first set of required so-called milestones in order to disburse a €2-billion tranche of aid. The Eurogroup also linked the completion of this part of the bailout programme to the bank recapitalisation process and lured Greece with the unblocking of €10 billion from a segregated account for the Greek banking sector. 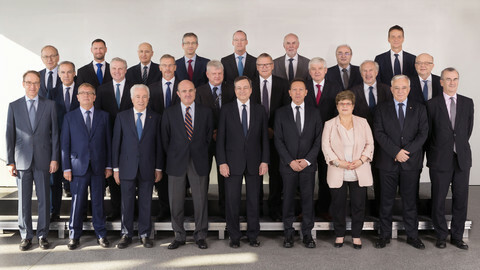 After failure of weekend talks, no decision was expected at the meeting of eurozone ministers. 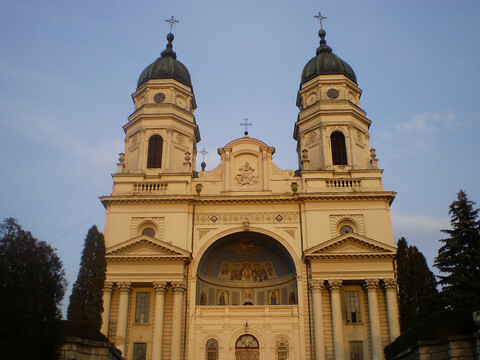 Divergences remain between the Greek government and the creditor institutions - the EU, the European Central Bank (ECB), the European Stability Mechanism (ESM), and the International Monetary Fund (IMF) - over household insolvency and the level under which owners who do not pay their loans will see their house seized. 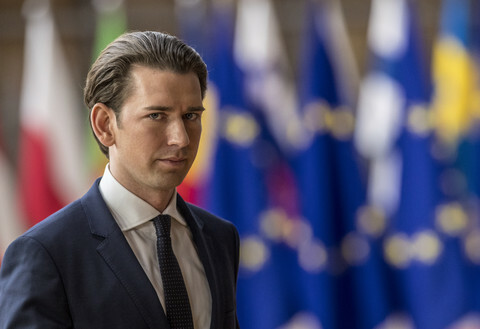 A compromise will have to be found "at the latest at beginning of next week," Eurogroup president Jeroen Dijsselbloem said at a press conference. Creditors expect the Greek government to find an agreement and have it voted by the parliament in the coming week. 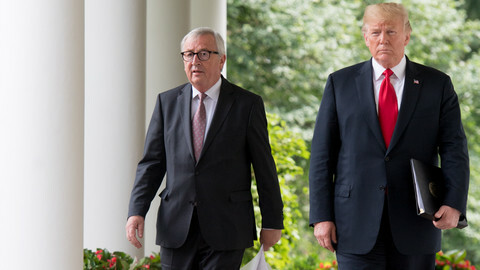 The Euro Working Group, the body composed of heads of national treasuries, would then be able to acknowledge progress and unblock the €2 billion tranche. 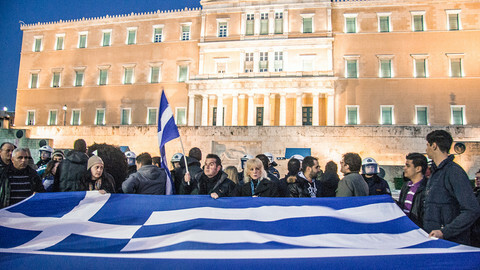 The Greek government says that creditors demands risk depriving people of their homes and creating social unrest that would benefit Golden Dawn, the neo-Nazi party. "We need to find the right balance, that helps protect the weakest people in society, but we have to avoid people to abuse existing protecting measures," and not pay what they owe to banks, said EU finance commissioner Pierre Moscovici. Moscovici admitted that the two sides "have [had] some fairly intense discussions." But he said that non-performing loans (NPL), the technical name of the non-repaid loans, are "an essential thing to be resolved for the banking system to become solid again and for credit to flow properly again in the real economy." Although the bailout programme is now fours weeks behind schedule, the tone was rather mild from EU officials. "A lot of progress has been done, a lot of work has been done in terms of programme implementation," Dijsselbloem said. "It's been a very cooperative process. That was emphasised by both sides," he added. Moscovici stressed that despite pending issues, 80 percent of the millstones "have been achieved [by Greek authorities] or are in the pipeline." "The quantity of measures that have to be taken in the first few months is very high," he noted. To get Greece agreeing on the foreclosure issue, the Eurogroup linked the completion of the first series of milestones to the issue of bank recapitalisation. "The process of recapitalisation is going faster than we all anticipated," Dijsselbloem explained. "Two weeks ago, we did not realise that within a week, the process would have to be sealed and done," he said referring to the one-week deadline, ended Friday (6 November) the ECB gave to the four main Greek banks to prepare their plans for recapitalisation. 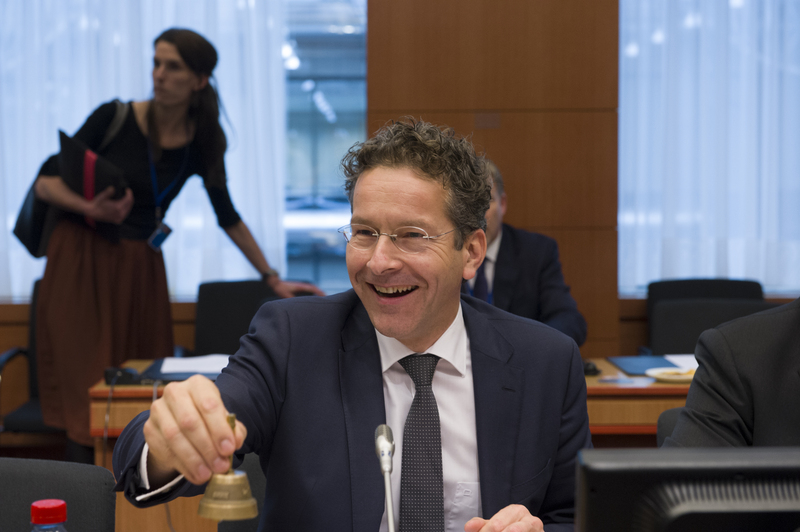 "There is a strong triangle between recapitalisation, the NPL issue, and the governance issues," Dijsselbloem added, to underline the link between the conclusion of the foreclosure talks and talks on governance of the banking sector. "Dealing with one of them and not with the others is simply not going to work," he said. 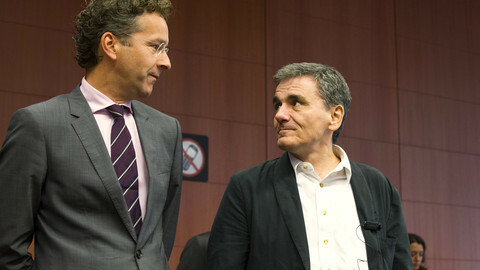 That is why the Eurogroup said that €10 billion could be unblocked when an agreement on both issues is reached. But EU sources suggest that the link, which did not exist at the start of the programme last summer, is an incentive for Greece to compromise on foreclosures. With the migrant crisis and the fact Greece no longer faces difficult payment deadlines, the Eurogroup has less means of pressure to obtain quick concessions from the Greek government. So far, ESM chief Klaus Regling told reporters, €13 billion have been disbursed. With the level of need lower than anticipated, Regling said, "the maximum programme lending will very likely be less than the up to €86 billion initially foreseen," when the bailout was decided in August. 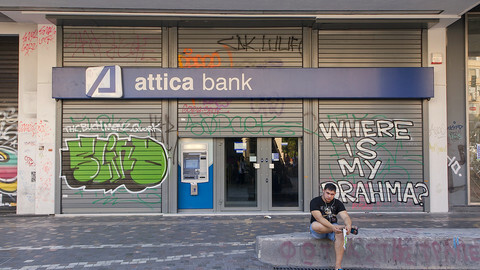 Athens and creditors still at odds over home foreclosures and repayment of arrears, as eurozone ministers meet on Monday. The European Central Bank has given Greece's four main banks until Friday to say how they plan to cover capital shortfall. 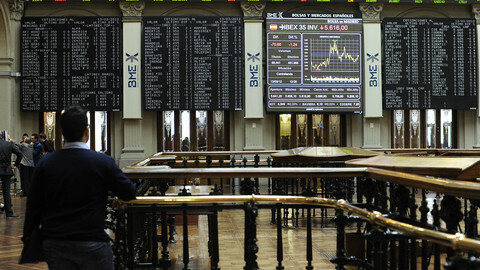 Agreement includes measures on home foreclosures, debt repayment and VAT. Talks on bank recapitalisation will go on.